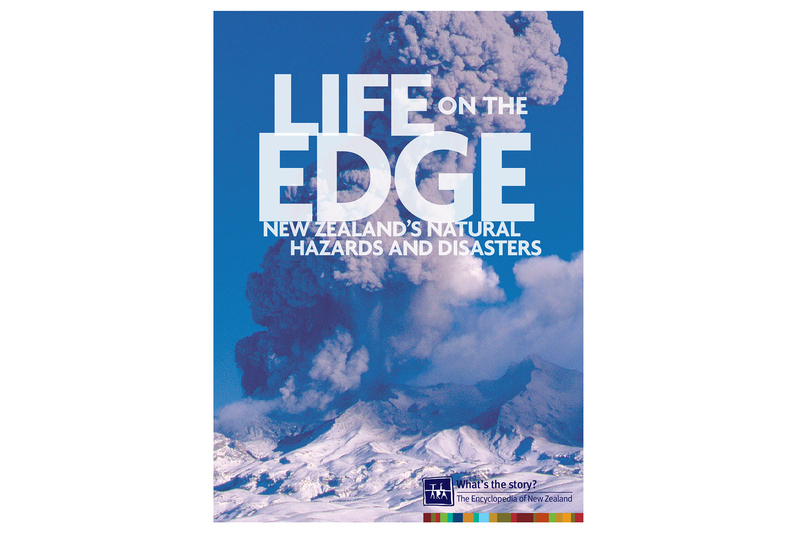 Te Ara Encyclopaedia of New Zealand’s Life on the Edge. A good looking reference book that moves away from textbook style to deliver a fascinating tome full of history, facts, photos and diagrams. The stunning cover image of Ruapehu erupting is matched by strong typographical treatment, understated in white and utilising transparency so the type and image blend effortlessly.